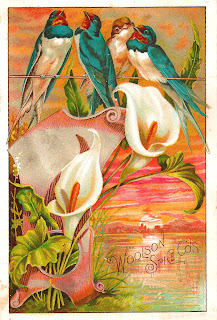 The absolutely vibrant, brilliant colors of this antique advertisement card are stunning! 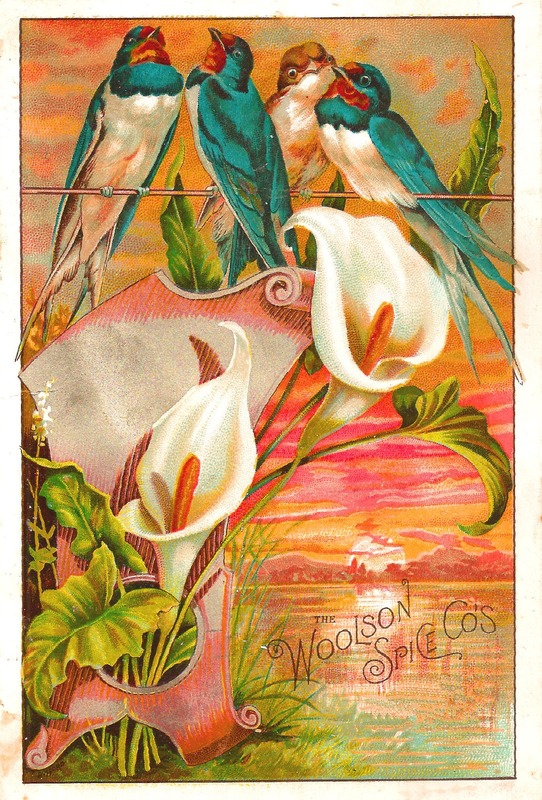 This antique advertisement image has beautiful blue birds, pretty Calla Lilies, and a picture-perfect sunrise in the background, featuring gorgeous, pink and orange clouds surrounding a bright morning sun. 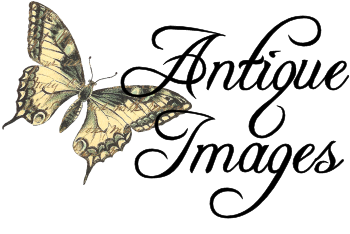 Any project you add this bird and flower clip art to will be incredible. I know I'm going to print out this antique advertisement and use it as it is as a gift tag. It's perfect! So very lovely, thank-you so much!